Hydrosols and Floral Waters – What’s the Diff? Recently one of my wholesale suppliers sent an email lamenting about the short shelf life of hydrosols and how difficult it is to maintain great standards for their customers. I would have to agree. I absolutely love hydrosols but their scent doesn’t last long and it’s always disappointing when you open up a bulk container to find it has “turned”. The scent goes a bit dull and brownish and it simply isn’t right. So what’s the difference between hydrosols and floral waters? Hydrosols will be harder to find in a retail environment, mostly everything will be a floral water- either the essential oil infused into the water, or the plant boiled or infused in water. If you can buy a true hydrosol its definitely worth a try. Hydrosols can be used in skin care and as a therapuetic treatment. 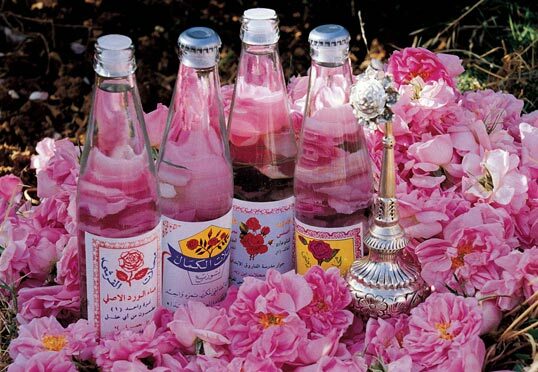 I remember taking a weekend class with an Indian Ayurvedic doctor and rosewater was used for an eye bath to soothe the infection and used when any kind of heat or inflammation was present. 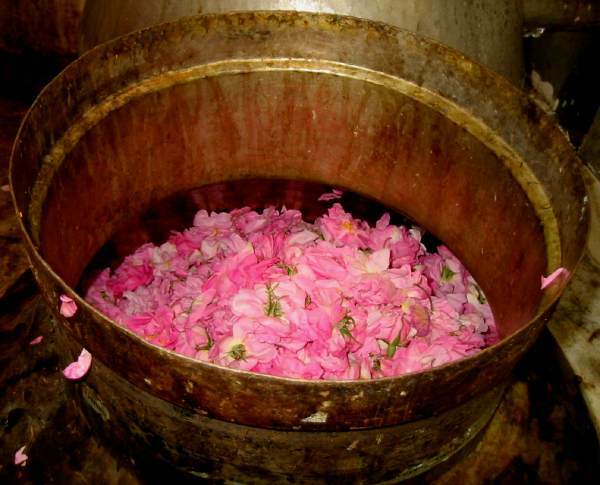 Rose water has been used in Ayurveda as a treatment for centuries and is also used by woman in their skin care regimes. If it’s a real hydrosol it can be amazing when its fresh. If it’s not a real hydrosol it could be a floral water. 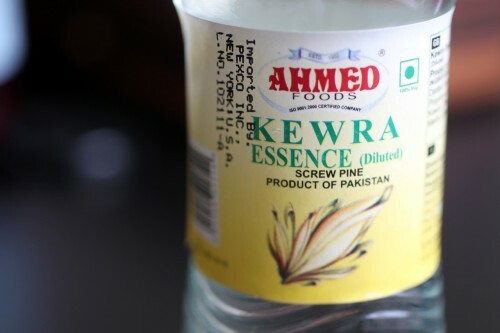 The most well-known would be rose-water, orange blossom (neroli) water and pine (kewra) water. Check out this article for some fabulous Oregon scented alcohols. Hydrosols could be called floral waters (because they are), but this usually refers to a water that has been scented with essential oils. The best floral waters use a process that breaks essential oils into tiny droplets and forces them into de-ionised water. In this process no extra chemicals are used and the scent is true to the essential oil. The scent will also last longer and floral waters can still be used for everything that a hydrosol is used for. If you go into a middle eastern or Indian shop and find a bottle of rose-water, for example, it probably wont be a hydrosol. It will be a floral water made in another way. That’s not to say they aren’t fabulous but always check the label to find if there are any chemical preservatives or nasty ingredients. I’m sure you can think of many more so don’t hesitate to use hydrosols and floral waters in your daily regime. This entry was posted in Aromatherapy basics & how-to's, Good things come from this, What's the DIff? and tagged after sun aromatherapy, aromatherapy face mist, aromatherapy for kids, ayurveda, beauty, cocktails with rosewater, cool yourself with floral water and hydrosols, face toner, floral water, hydrosol, kewra (pine) essence, natural beauty, natural health, natural perfume, natural scents, rose oil for grief, rose-water, rosewater, scent, smile by suzannerbanks. Bookmark the permalink.